Rideau Street and really all of Ward12 has a fascinating, long-reaching and rich history. From the worker’s that built the city and canal, the historic Jewish community alongside many other immigrant influxes, to the diplomats and posh historical families including many Canadian leaders that have all called Rideau-Vanier their home. Locals work tirelessly to have the neighbourhood’s heritage recognised; often an uphill battle as grand homes and historic businesses are demolished. Hopefully the recent coverage by Spacing Magazine will help to preserve further some of our phenomenal history. Read and enjoy the article here! A HOT ticket item Sunday at the Bytowne and two wonderful weekend Christmas shopping opportunities in Sandy Hill but first…. Thursday University of Ottawa Farmer’s Market is at the 1st Floor of the University Centre until 4pm. 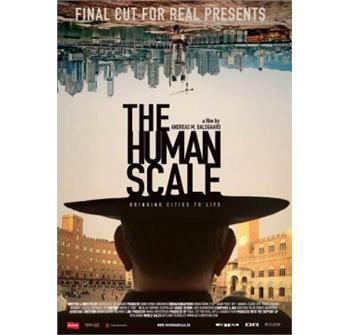 Then head over to the Mayfair Cinema on Bank St for the premier of The Human Scale. Anyone interested in vibrant urban living will enjoy this free screening hosted by the Royal Danish Embassy. Friday choose your most comfortable waistband and stroll over for the first of the 3-day Poutine Fest on Spark Streets Mall. Go on foot and you’ve an excuse for a few extra temptations! Friday night SAW Video (67 Nicholas) is screening a series of videos by acclaimed Kuwaiti-born Palestinian artist Basma Alsharif. Everybody Know this is Nowhere explores via 4 brief films the geopolitical landscape of the middle-east touching on universal themes of self-identity and the significance of home. Saturday and Sunday it’s our events of the weekend! Sandy Hill has not one but TWO local markets. What a creative and artistic bunch of locals. On Saturday from 11-3 All Saints Church (317 Chapel) hosts the Snowflake Bazaar with attic treasures, vintage goods, home baked goods and refreshments. Sunday is Sandy Hill’s One & Only Art and Craft Show at the Community Centre (250 Somerset St. E) from 10:00am-4pm. Sunday 6:20pm Our Man in Tehran – documentary chronicling the facts behind Hollywood’s Argo – is screening at the Bytowne Cinema. The movie will be followed by a talk & Q&A with Canada’s former Ambassador to Iran Ken Taylor and ex Prime Minister Joe Clark and the film makers. Advance tickets on sale at the Bytowne box-office daily from 4pm so head down to reserve your seat.